Furniture has so much potential! Even if it’s vintage, furniture can always be used for something, whether it becomes a decoration in your living room or it becomes a part of your dining room. The power of reupholstering furniture that’s seen better days is incredible, as it can make old furniture you might’ve gotten at an estate sale, look new and truly unique. We told you furniture has potential; you just need to look at what lies beneath the surface. Estate sales allow people to find new-to-them furniture in all conditions to refurbish their home with an entirely different look. If you’ve never been to an estate sale before, you should consider going to one! You can get inspired or surprise yourself and find something you typically wouldn’t look for. 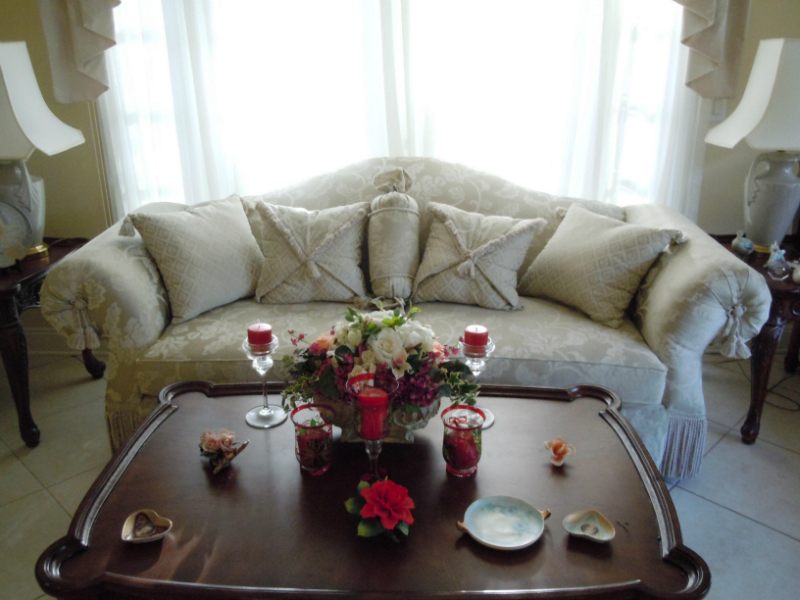 Spruce up your style at home by taking advantage of estate sale furniture that you can turn into your own! And remember, no matter what kind of shape it’s in, there’s always room for improvement. Buying furniture from an estate sale can be beneficial in more ways than one, as it can save you time and money while adding a unique touch to any room. Plus, even if the item you’re considering may not look fresh and new, having it reupholstered or recovered can make it look like new again while giving you a unique new addition to your home. If the new mid-century vintage couch you just bought has some rips in the fabric, reupholster it with a brand-new fabric that will make your furniture piece look like a million bucks! Reupholstering estate sale furniture, whether it is a couch, love seat, dining room chair, bed set, or anything else, can breathe new life into each piece and give you stunning classic features at a fraction of the price of buying new. A couch from the ‘70s can be reupholstered with new fabric that matches the rest of the décor in your home – or that completely stands apart as a central focus of your decor. In other words, with a bit of TLC and care, any furniture can easily be updated to add comfort and appeal to your 21st-century home. Estate sale furniture – no matter the kind, age or condition it’s in – will always have potential. It’s a perfect project for the do-it-yourselfer and allows for your creativity to shine through while still providing a classic contrast to your contemporary chic. Plus, you never know – you could find a true antique gem that requires no work and looks great just the way it is! If we’ve piqued your interest in auctions and the bargains you can take home from them, stop in to one of our upcoming auctions. To find the next sale in your area, call B & F Estate Sales at 954-401-2222 today. © 2019 B & F Estate Sales.